Dermatologist: Dermatologists are specialized to diagnose, evaluate and treat the diseases and allergies associated with skin, hair and nails. Dermatologists treat diseases in wider spectrum including some cosmetic issues of the skin as well. This includes eczema, acne, psoriasis, skin cancer, nail infections, rash / redness, scar & burn removal, allergic skin, alopecia, moles, freckles and some cosmetic problems of the skin (scalp and hair) and nail infections. Dermatologists obtain various fellowships that include Cosmetic dermatology, dermatopathology, Mohs surgery and Pediatric dermatology to name a few. Doctoruna gives you an opportunity to visit a dermatologist in order to increase your knowledge about the risk factors involved in various skin related diseases/ allergies and find out what precautionary measures you can take for maintaining healthy and fresh skin. 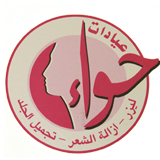 The list of Dermatologist in Cairo can be accessed here. 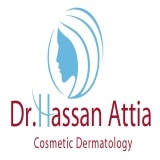 You will find the contact details, address and location, reviews of top & best Dermatologist in Cairo.